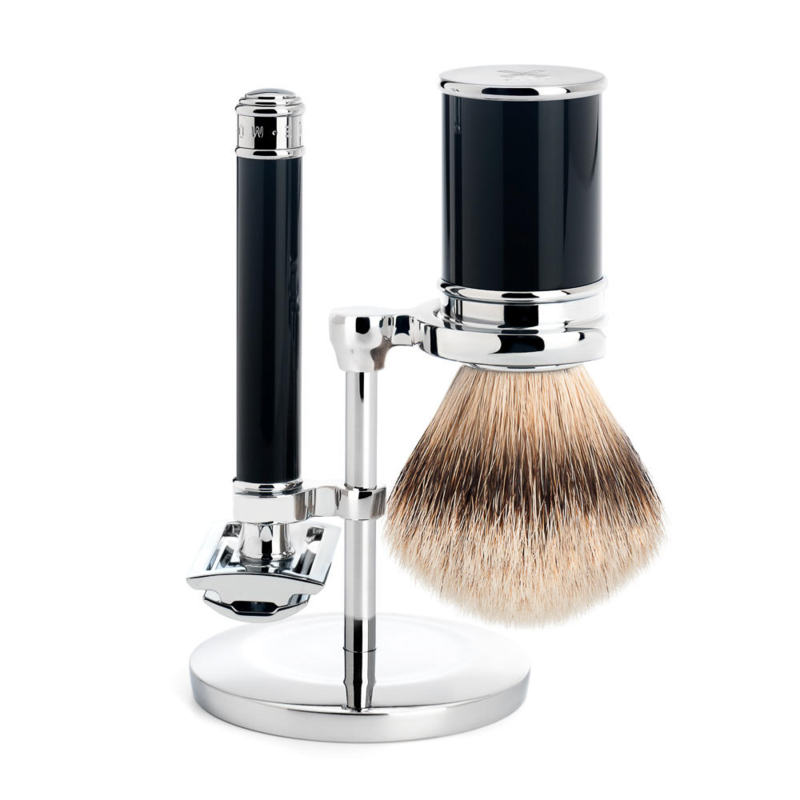 Mühle of Germany have been producing extremely high quality shaving products for over 65 years, and this beautifully elegant shaving set in a glossy deep black is no exception. 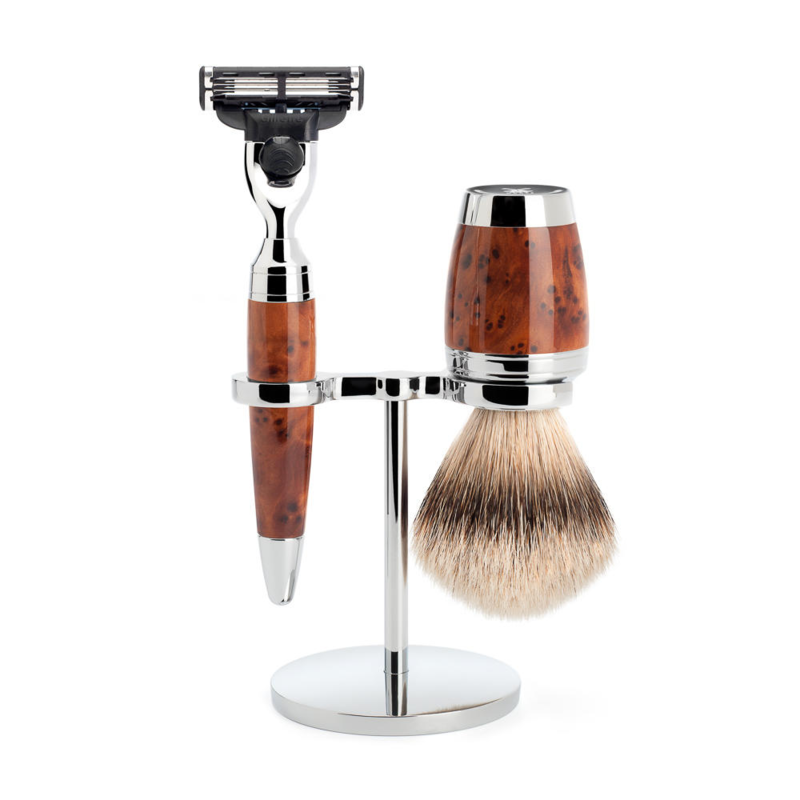 The razor is lined with brass for a sturdy extra weight and will glide effortlessly across the skin, with the absence of the pulling and tugging you may experience with lower end razors. 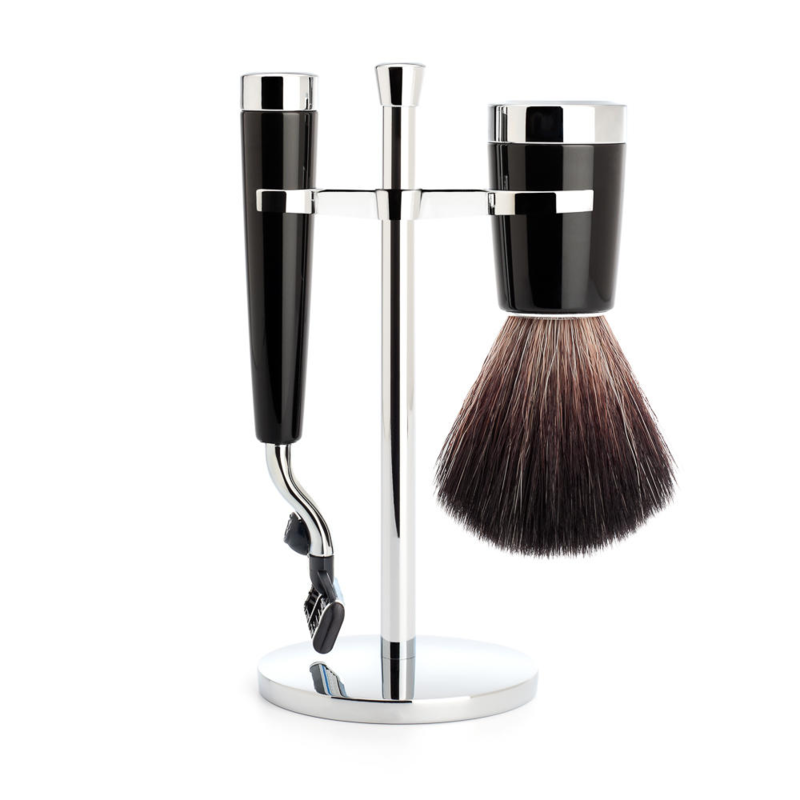 The black fiber brush, when used with a high quality shaving cream/soap is sure to create a thick lather to protect the skin whilst shaving. 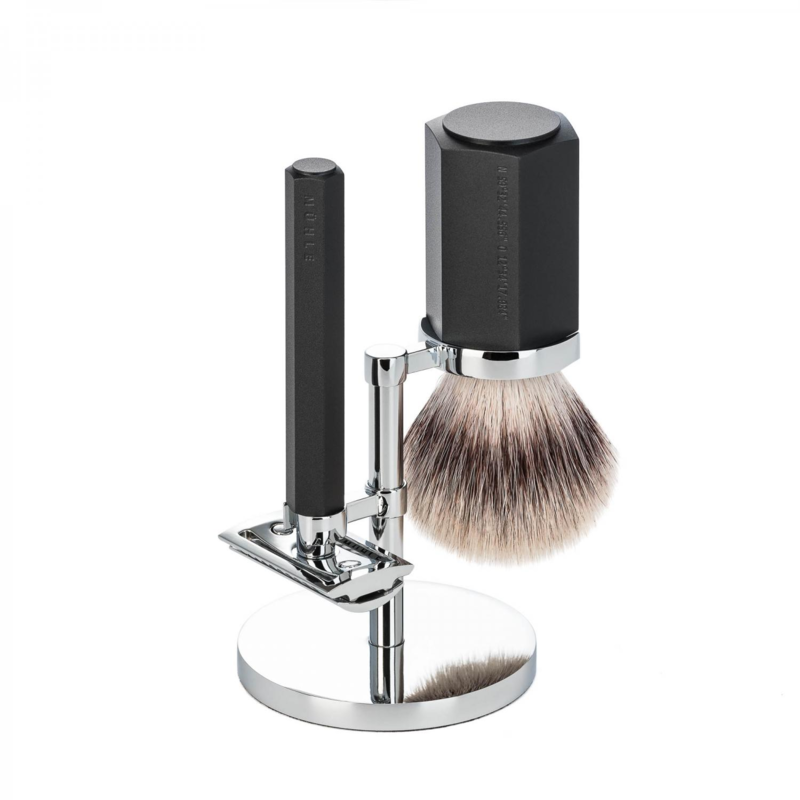 The stand allows the razor to be stood above ground, avoiding scratches and bacteria, whilst the brush can be hung upside down, allowing it to dry naturally. 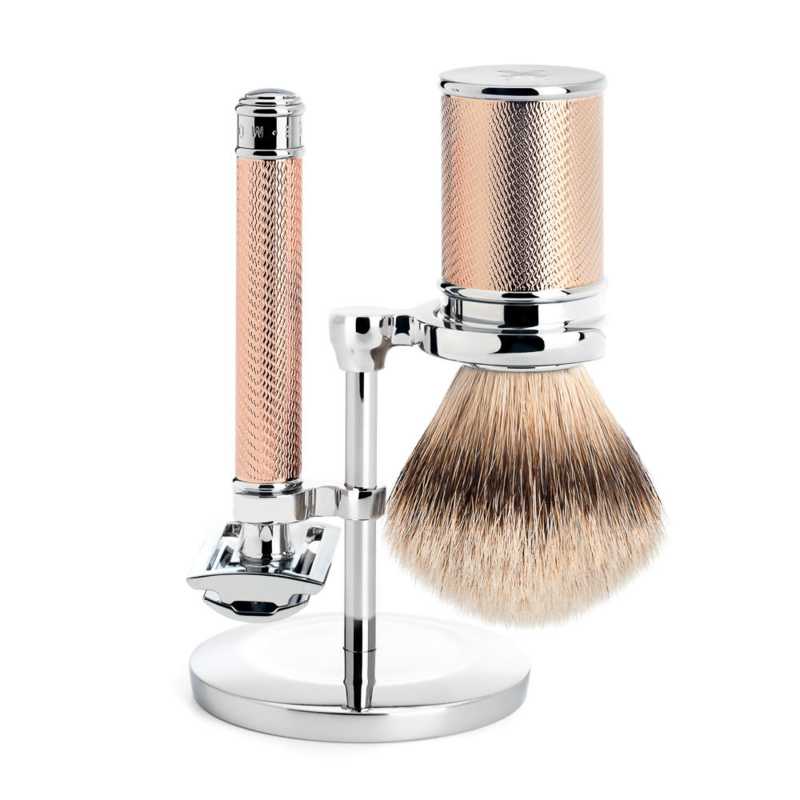 It’s also important to note that the metal components of this product are a distinct category plated chrome, visually amiable as well as giving a significantly reduced risk of rusting.